Have you ever dreamed of leaving it all behind in search of the simple life? Well, Jess and Nick turned that dream into reality when they left their home town of Thirroul, NSW armed with two inflatable Red Paddle Co boards. 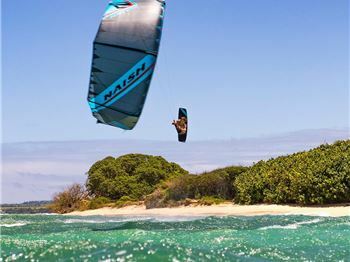 Listen to the Watersports Legend: Robby Naish. 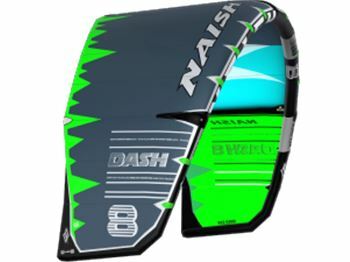 He's one of the men who started this sport, and he's got a story to tell about where it all came from, and why the new Naish 2018 kiteboarding gear is designed with such passion. 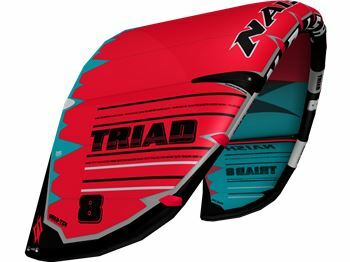 There's new shapes, lots of foil options and they haven't forgotten the non-foilers either - Naish have a new shape for everyone in 2018 - and it's released today! 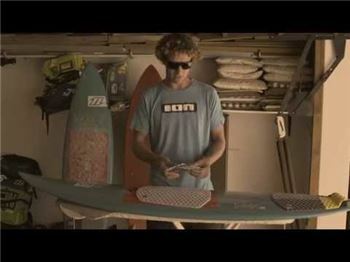 Surftech Partners with Sharp Eye Surfboards & Filipe Toledo! 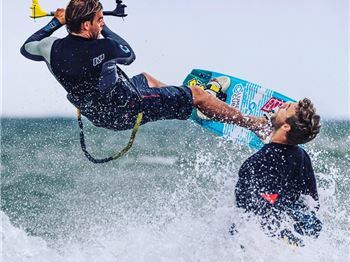 One of the worlds best surfers will have a new logo on his board next year, and it's not one you might expect... Surftech have partnered up with his sponsor Sharp Eye Surfboards, to help mass produce their shapes for YOU to ride! Sean O'Brien takes to the Podium! 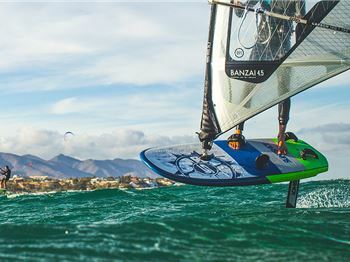 Australia's Sean O'Brien takes a podium spot at the Formula Windsurfing European Championships. 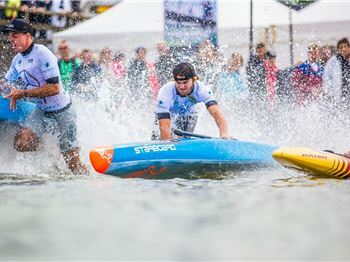 This Will Inspire You to Paddle Faster, and Longer! 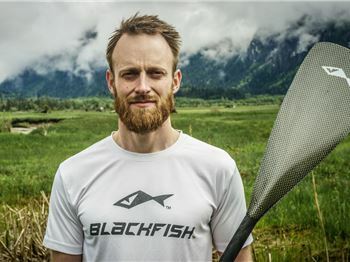 A little motivational speaking from Jason Bennett, ONE Sup and Blackfish Paddles ambassador, racer and event winner. What's better? Wheel, or Tiller Steering? 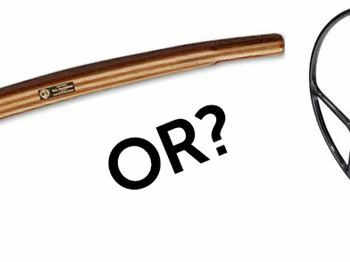 With both styles available on yachts up to around the 40ft mark, what type of steering mechanism is better? We've weighed up the pros and cons of each. 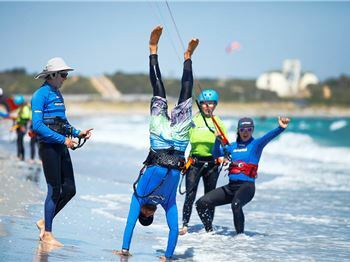 Actionsports WA is looking for instructors! Action Sports WA is looking for instructors! 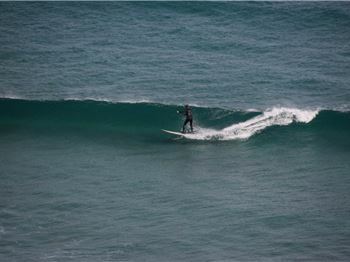 The Longest Wave Ever Surfed on a Foil? Imagine the leg burn after riding a wave for over 2 minutes! Laird Hamilton knows all about it, because he's just been to Peru and done it! Cabrinha call it #LiveFreeRideFree, and after watching their latest video, you'll want to tag along with the Cabrinha team on one of their promo trips. 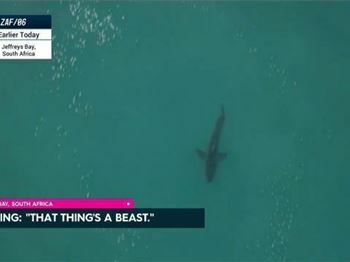 Why can't you see a Great White Shark in captivity? 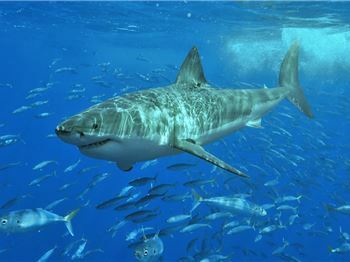 Wouldn't you love to stand face to face with the oceans more feared predator? What Nasties Are Lurking Inside your Stand Up Paddle Board? 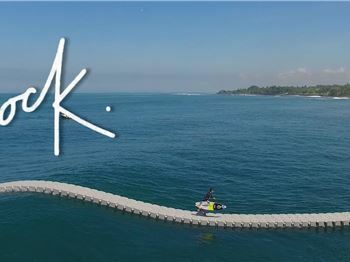 Reducing wastage, using eco based resins, and even constructing deck pads out of Algae are just a few ways Surftech are making your stand up paddle boards better for the environment. 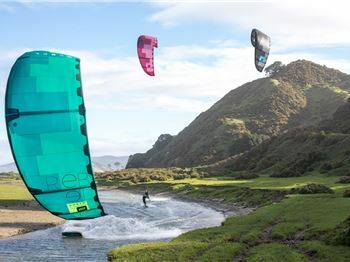 Elemental are looking for kiteboarding instructors! 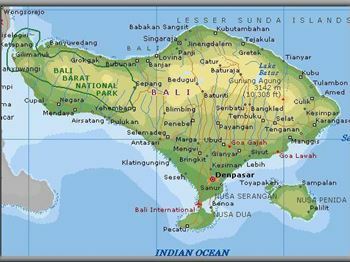 Starting November 2017 until of March 2018. There will be full-time and part-time positions available. Elemental are looking for SUP instructors! Starting September 2017 until end of April 2018. There will be full-time and part-time positions available. One of the best things about foiling, is foiling. But one of the worst, is when your foil 'hums' at certain speeds. Good news - the fix is simple! 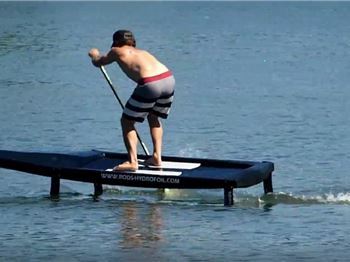 This Stand Up Paddling Trick Was Impossible 12 Months ago! 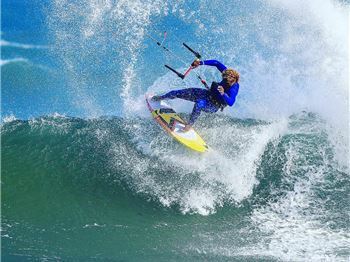 Austin Kalama has just taken the sport of Stand Up Paddle Surfing to a new level. 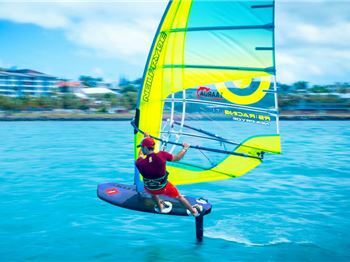 Not only is he up in the air, foiling on wave, but he's worked out how to perform complete aerials with his Go Foil! 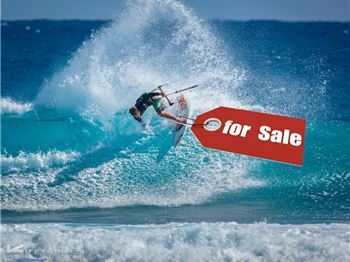 New, Used, Second Hand, Ex-Demo and Closeout Stock Stand Up Paddle Boards, Paddles, Equipment and Accessories. Right here online! We help you through the SUP lingo that all the major stand up paddle board brands use, so you can choose the best board for surfing! The New North Rebel Seems to Be Missing Something? It's the same Rebel you know and love, with a few refinements and one big thing that's missing! Well, it's optional... Know what it is? 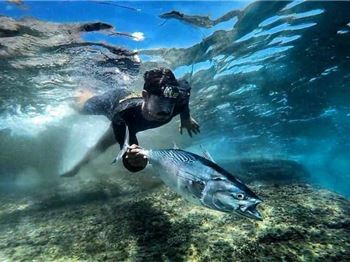 This Chick Loves Freediving in 2 Degree water! 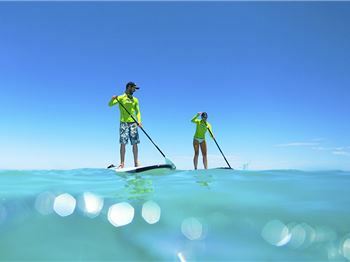 From Redcliffe to Townsville - One Man, One SUP! 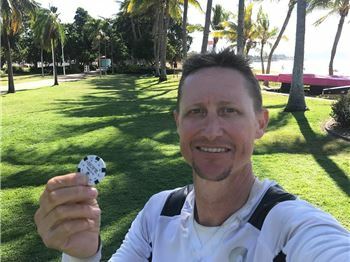 To mark his 8th year sober, Matt Scarce chose to set himself a challenge, to paddle from Redcliffe to Townsville in 28 days. 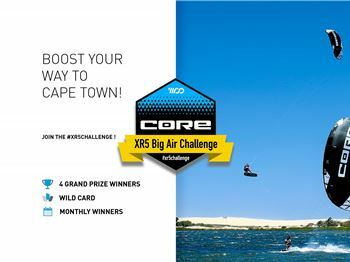 Post your highest boost online, and you might win one of four trips to Cape Town, South Africa thanks to Core Kiteboarding and their new XR5 performance freeride kite! 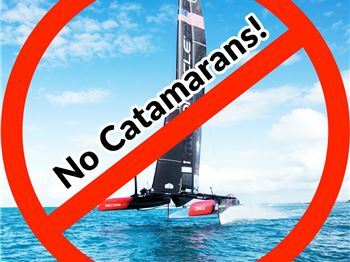 Will the next Americas Cup be sailed by Monohulls? Back in the 90's, the Americas cup was raced by really fast monohulls. But nobody cared. Will they in 2021? If the next Cup, held in New Zealand was to be raced with monos? 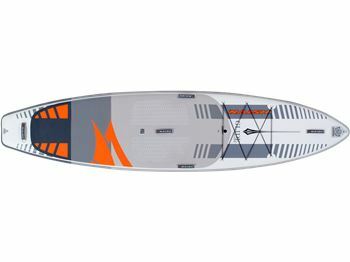 Starboard release their fastest race SUP range yet! New shapes, refined volumes, and more little features than you can see with the naked eye. 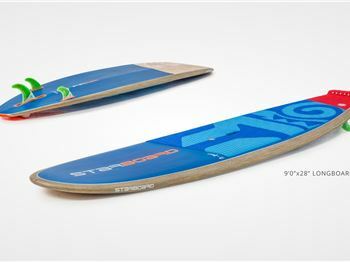 That's the new race SUP's from Starboard! 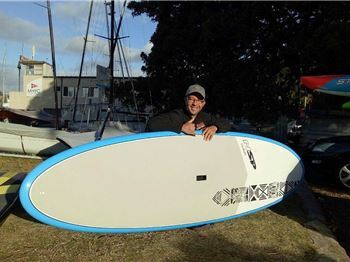 A SUP foil board for Racing - No pumping required! 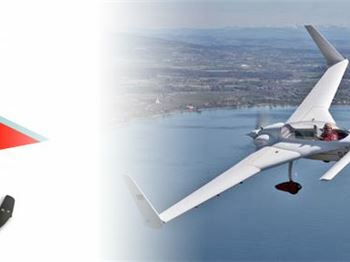 No Wind. No Motor. No Waves. This board just requires paddle power to fly. But is it faster? 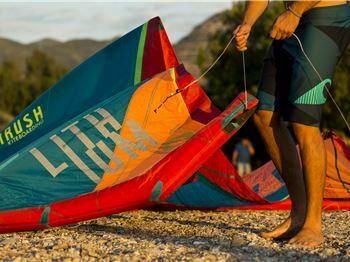 The new kites from Cabrinha are as high tech as they come, but this year they've taken their graphics back to the classic lines, dark wingtips and colour schemes of the early days in kiteboarding. 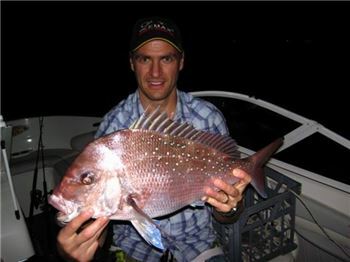 Is This The Most Extreme Catch and Release ever? Aussie blokes. 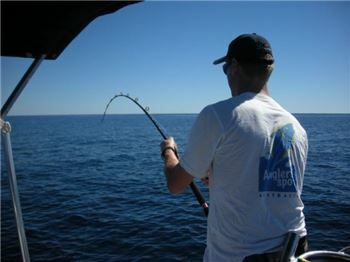 Extreme fishing. 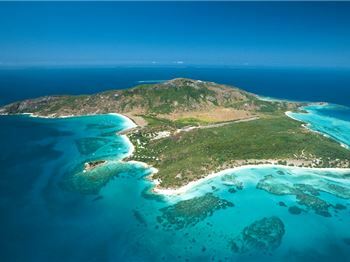 Deserted island. Epic Movie!!!!! Could you get your leggy off in < 2 seconds? 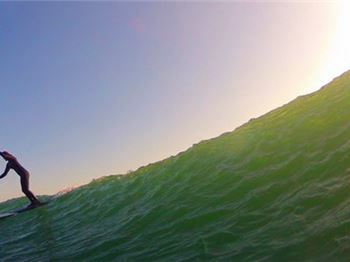 You're smashed by a closeout, underwater, and feel a big pull on your leggy. How quick can you get it off? 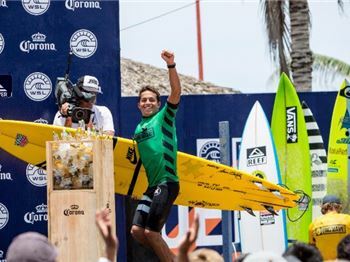 Kai Lenny Misses Molokai, WINS Big Wave Challenge! The waves were gnarly, the competition were fierce, and Kai Lenny came out on top of an event he might have chosen to skip. 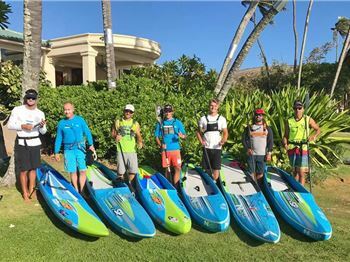 They said it would take once-in-a-lifetime conditions to break the world record for the Molokai to Oahu Paddleboard World Championships, but Travis Grant just did it in 'alright conditions'. The guy is a machine! 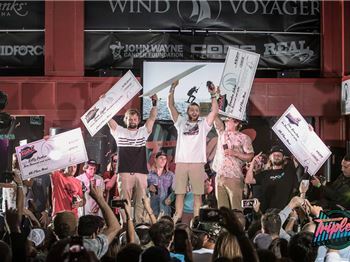 Kite Surf World Champ Crowned in Dakhla. Small waves didn't stop the worlds best surfers from battling it out in one of the worlds best right handers this week, in Dakhla Morocco. 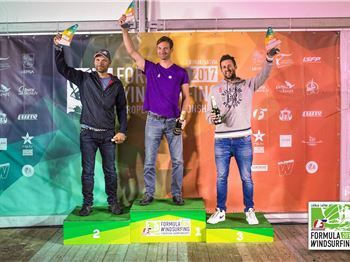 F-One rider Mitu Monteiro took top prize! The NSP Team are ready for the M20! They're hoping for a one-two result this year, and if Travis Grants current form is anything to go by, they might just get it! 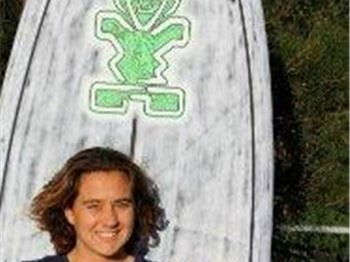 Filipe's Perfect 10 - They're calling it the best wave EVER! 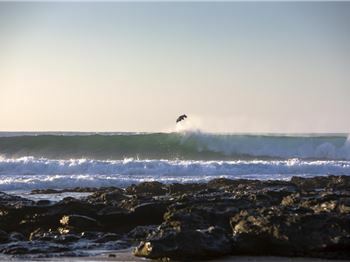 Two massive Alley-oops, a couple of floaters and about 5 carving top turns. 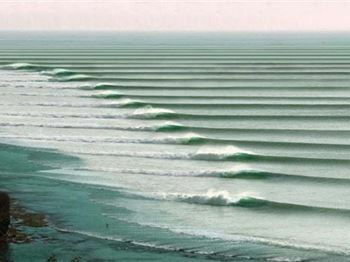 It was one insane wave, which could have scored 2 perfect 10's! 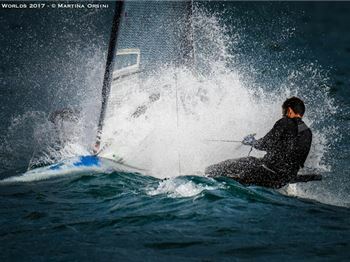 Insane Conditions at the Moth Worlds on Lake Garda! It's about as windy as you'd ever want on a foiling Moth, for the 2017 Moth Worlds on Lake Garda this week. They're modern, fast, and very very blue. But Neil Prydes One-Design concept the RS:One Convertible is destined for the Olympics. Fishing reels that lasted TOO long, were the cause for this iconic fishing brand to close its doors this week. 3 Ways to Make Money from SUP! 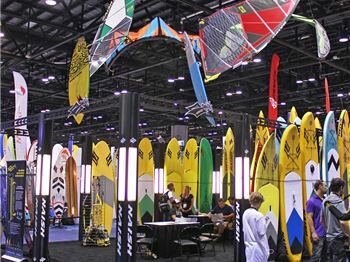 Working within the SUP industry is a career that's actually pretty easy to get into, and you can work around the world, talking, teaching, or selling SUP gear to like-minded paddlers. Foils. The RPM. One Pump. 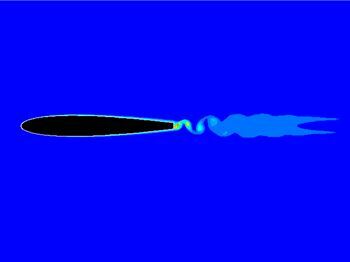 Split Strut. Slingshot have made some big calls in their history. But their biggest decision of 2018 is one nobody expected. 2018 Cabrinha Teaser Video! New Colours, Crazy tricks. 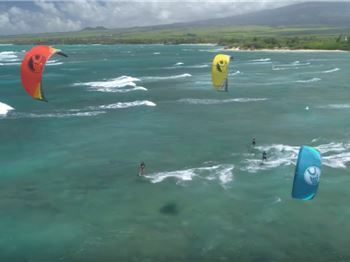 Watch the Cabrinha crew riding some pretty slick new kites, as they get up to a few shenanigans with Keahi and Nick Jacobsen. Just wait for the sandwich! Ready for a real Sea Change? They're big, they're fast, and EVERY sailor wants one. 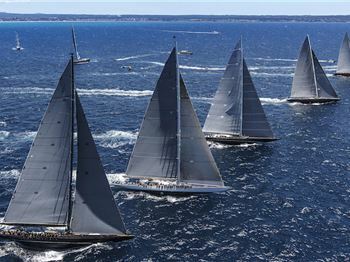 While few can afford to own one, we can all revel in the beauty of these classic racers as they sail in Bermuda. 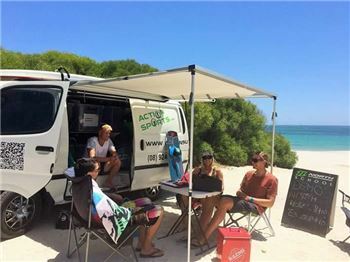 Take Part in a Tropical SUP Holiday That Makes a Difference! Improve the island by morning, SUP by afternoon, Camp by night. This tropical getaway does both you and the island good! 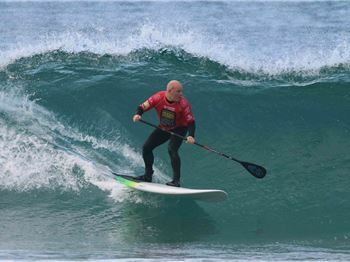 Michael Booth Wins Euro Tour SUP Championship! 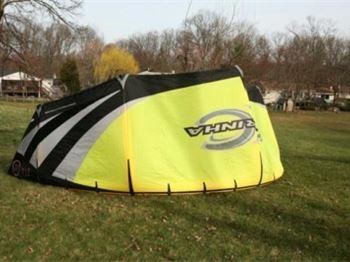 How does this 'backwards' kite foil work?! Using a canard, this foil promises better performance than a traditional foil, and on paper, it should! 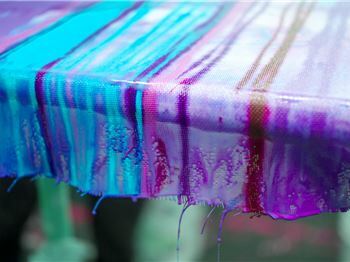 The Paradise Wave Garden - foiling Inspiration! Whether you're into foil racing, surfing, or just freeriding - this video will give you a little inspiration to get the wetsuit out and go for a foil. Or if you don't have one yet - look for one this summer! What would be possible with a half-ton floating dock anchored in the lineup? The surf crew from Volcom tried it out. 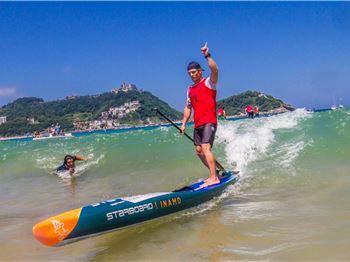 10 reasons to train as a SUP Instructor? 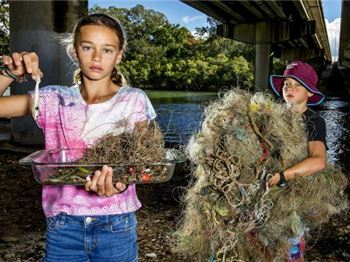 In just 18 months, this Gold Coast family picked up more than 20km of discarded fishing line, lures and hooks from the Tallebudgera creek. Dreamy shots, retro music and a week on Hawaii's North Shore with Aussie surfing legend Steph Gilmour. What more could you ask for in a four minute vid? 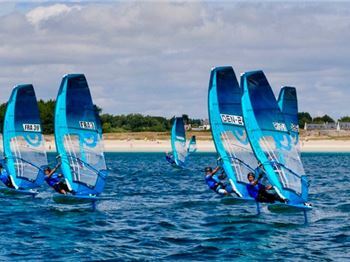 Are you looking for your first wind foiling setup? 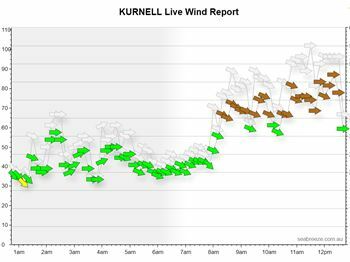 Not quite sure how much wind it REALLY takes to get up and foiling? 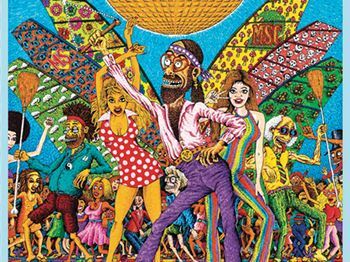 These guys have the answer for you, with a really simple guide to making it through your first session. What It Feels Like to Finish SUP's Most Iconic Race. 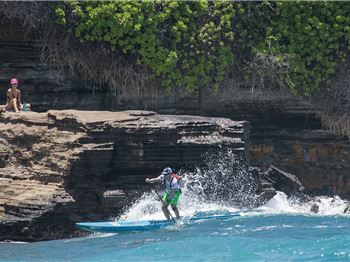 The Molokai to Oahu is one of the greats, if not the greatest stand up paddle endurance race on earth. It's brutal, it's long, it's rough, and it's extremely rewarding. 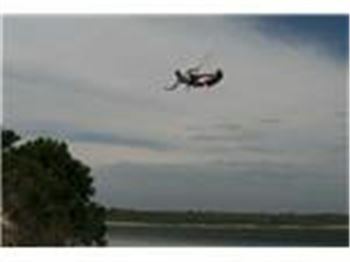 Christmas Themed Suits, Fireworks & Kite Loops in Cape Town! 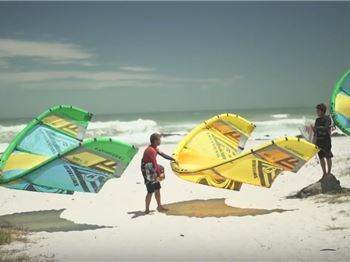 This kite movie from Cabrinha kiteboarding focusses on the social aspect of kiteboarding. Mates, shenanigans, having fun on holidays! 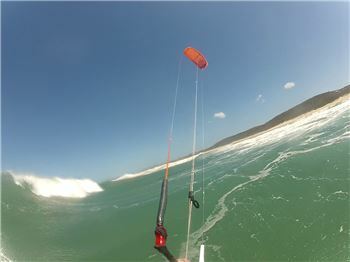 The Best Fun a Kite Pro Could Have On (and off) The Water! There's wind, water, sliders and parties. 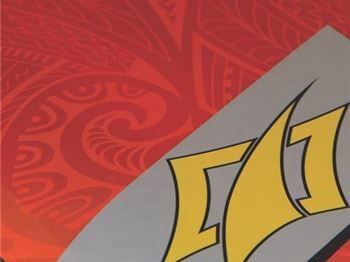 The Triple S Invitational is an event that EVERYONE wants to attend, but only a select few can!